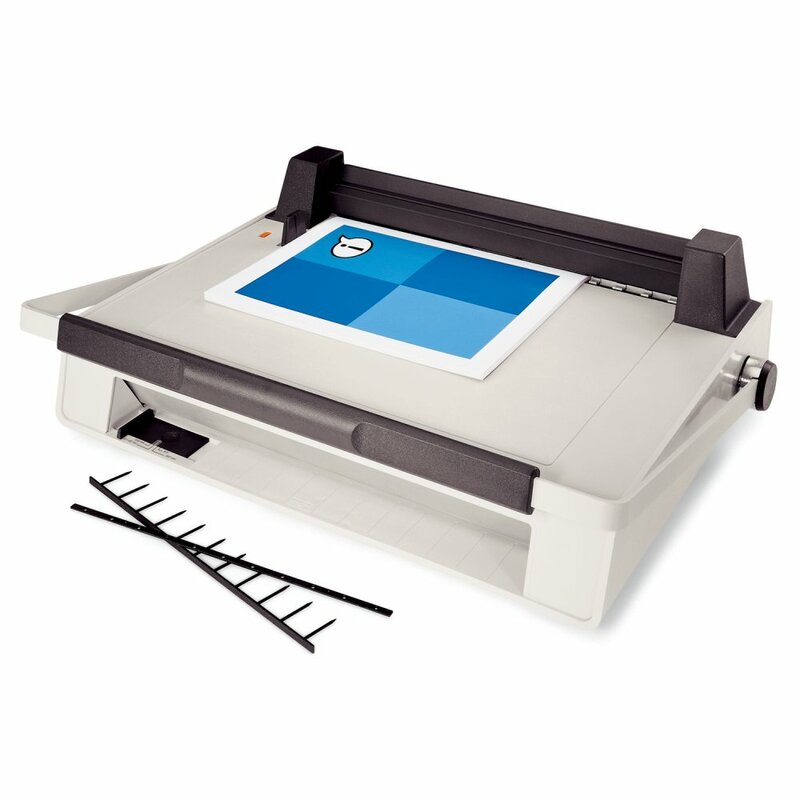 Get professional-looking SureBind® results with this all-in-one punch and bind system. The manual punch handle is convenient for right-or left-handed use. The pressure bar and alignment guide hold documents (up to 1" or 240 sheets) in place during electric finishing. SureBind spines add a smooth, book-like finish to your presentations without visible holes, tapes or fasteners.